New Delhi, Mar 13: Ahead of the upcoming Lok Sabha polls, Prime Minister Narendra Modi on ..
Mumbai, Nov 02: DeepVeer wedding rituals have taken off only some time back in the day and..
New Delhi, Sept 27: It s seldom that we see the biggest stars of Bollywood hanging out tog..
Hyderabad, Aug 25: Tollywood Young Rebel star Prabhas is going to team up with Mr Perfecti..
Hyderabad, July 24: Think!! 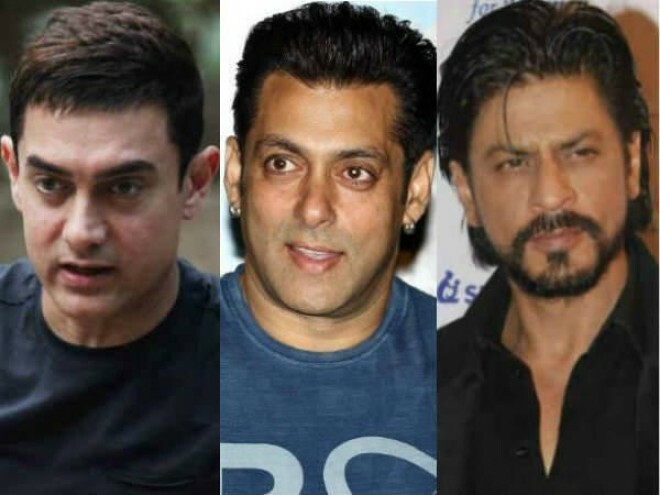 All of you have been aware of the television show - Satyameva..
Mumbai, June 13: One of the Bollywood Superstars photos have been doing rounds on the inte..
Mumbai, May 31: Bollywood Super Star Aamir Khan has been brutally trolled by the netizens .. Happy Birthday Aamir Khan ..
Mumbai, Mar 14: Aamir Khan made a spectacular debut on Instagram on his 53rd birthday by s..
Mumbai, December 12: Bollywood Megastar Amitabh Bachchan has shared a rare photo with vete..
New Delhi, December 04: Miss World 2017 Manushi Chillar is making new headlines every day,..
Miss World Manushi Chhillar says she would love to work in an Aamir Khan film as the super..
Hyderabad, October 27: Bollywood superstar Aamir Khan and Zaira Wasim starrer "Secret Supe..
After the private screening of the movie Secret Superstar for former minister LK Advani, ..
Mumbai, October 17: As we knew that, The Ace Cricketer Virat Kohli and Bollywood Actress A..
Aamir Khan who is busy promoting his next movie Secret Superstar, hosted a special screeni..
Mumbai, October 12: Bollywood Super Star Aamir Khan is geared up and excited for his upcom..
New Delhi, October 04: Indian Run Machine Virat Kohli has revealed his relationship with A..
Mumbai, Sep 23: Bollywood superstar Aamir Khans sports drama film "Dangal" is continuing i..
Mumbai, Aug 21: Actor-producer Aamir Khan finds it unfair that three names are always sing..
Mumbai, August 07: Swine flu is one of the dangerous diseases in the worldwide, recently, ..
Mumbai, Aug 3: Superstar Aamir Khan says when he backs a film as a producer, he and his te..
Mumbai, July 29: Bollywood superstar Aamir Khan has urged all his fans and followers to he..
Thimphu, Oct 20 : Actor Aamir Khan, who is a Unicef Regional Goodwill Ambassador, took tim..